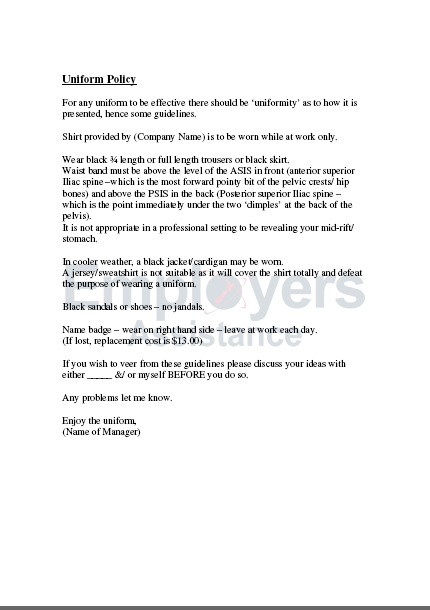 If you have a company uniform it follows you should also have a uniform policy. A uniform policy covers the expected presentation of the uniform and guidelines to what is acceptable. Get your company uniform policy in place and set the expected standard of dress code.